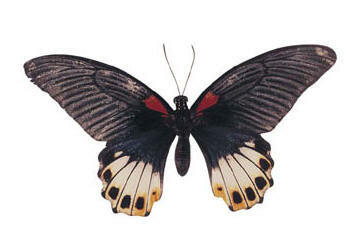 The Great Mormon is a member of the Papiliondae Family. They prefer evergreen and mixed deciduous forests and wooded country at most elevations. The larvae feed on citrus plants. The adults prefer rotted fruit.